It is sometimes easy to forget that Switzerland is a very old country. Archaeology shows Stone Age hunters lived here before the last Ice Age, approximately 350'000 B.C. The Helvetians, a Celtic tribe, gave the country its official Latin name in 800 B.C. : "Confoederatio Helvetica". The name continues today obscurely on money and license plates (CH), but scholars in the Middle Ages would have actually known where Helvetia was located. Before the founding of Switzerland in 1291, an Augustine monastery had already existed in Unterseen (Interlaken) since 1133. From 1224, the monastery was under the protection of the city of Bern and grew immensely wealthy, becoming one of the largest landowners in the region. 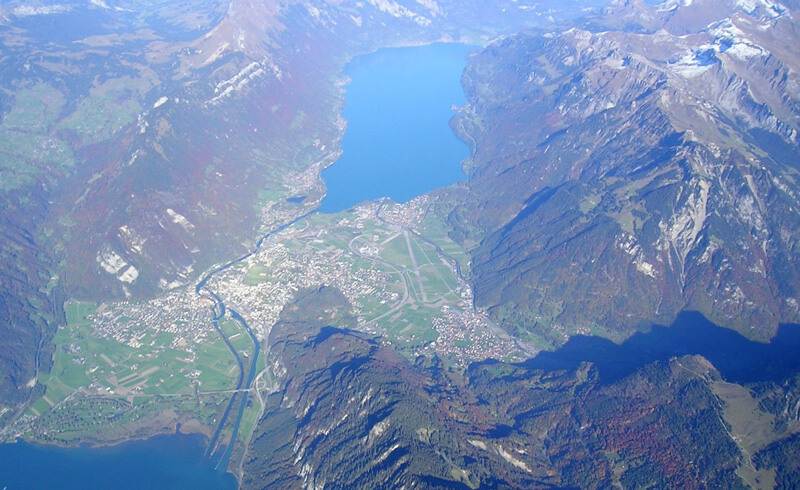 The monastery also played a crucial role in the development of the Bödeli (the flat plain between the lakes of Thun and Brienz). Its glory lasted until 1528 when the arrival of the Reformation in Bern resulted in a conflict of interests - and the subsequent abolition of the monastery. Where there is a church, there is usually a castle. Not in Interlaken, though. 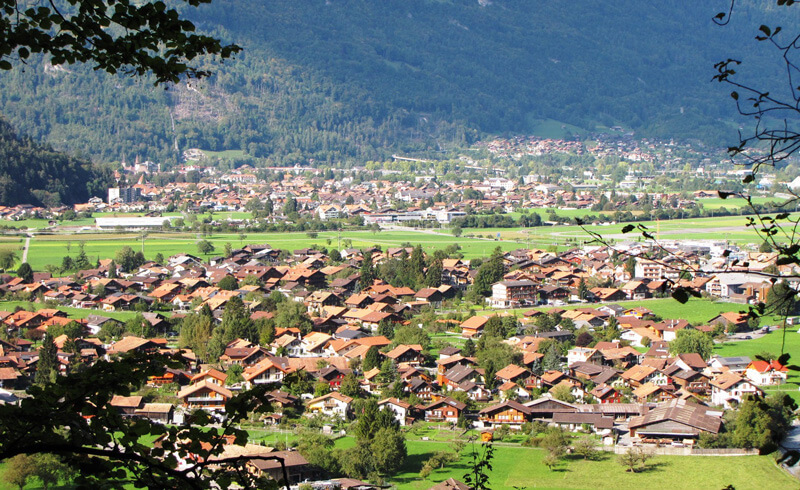 There are two castles in Wilderswil, close to Interlaken: Unspunnen and Rothenfluh. A third castle is located in Ringgenberg. 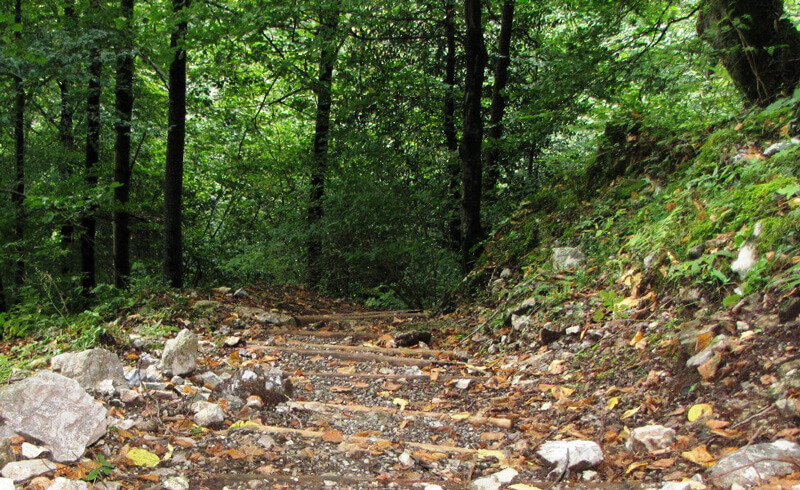 Starting in Wilderswil, the Castle Trail (Burgenweg) takes you back to the days when knights rode in the woods, and Switzerland was a very different place. First mentioned in local annals in 1232, the castle at Unspunnen was the seat of power for the local region, ruled first by the Barons of Rothenfluh-Unspunnen. In the 14th century, Unspunnen was ruled by the Lords of Weissenburg, and finally in the 15th century, by the Lords of Scharnachtal. 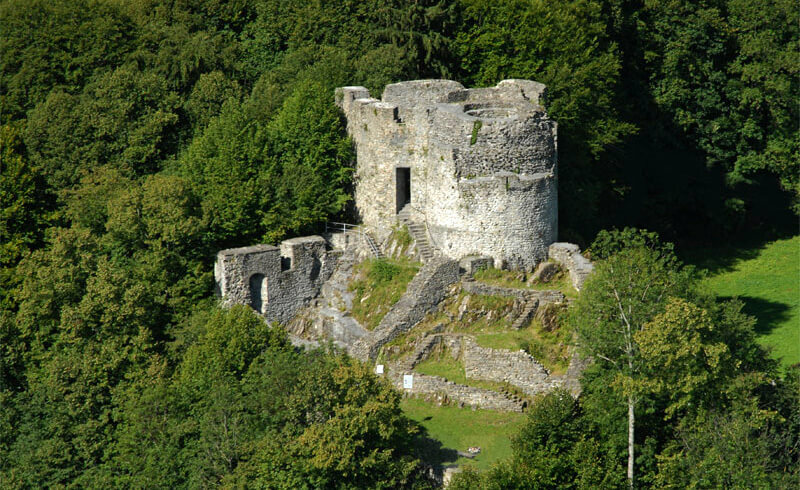 Occupied until 1533, the castle fell into ruins during the 16th and 17th centuries. Although not much remains of the original structure, it was in its day a castle in the classical sense. A central round tower dominated the highest point, an upper stone walled building, and a ring wall. Built on top of a rock, there was access to the courtyard only from the north side, making it a small, but practically impenetrable fortress. Today, Unspunnen is better known for the herdsmen's games on the meadow in front of the ruins. For the first time held in 1805, the games include wrestling, crossbow shooting and tossing of the iconic Unspunnenstein (the Unspunnen stone). The objective of these games was to decrease tensions between town and country folks, following the Act of Mediation of 1803. 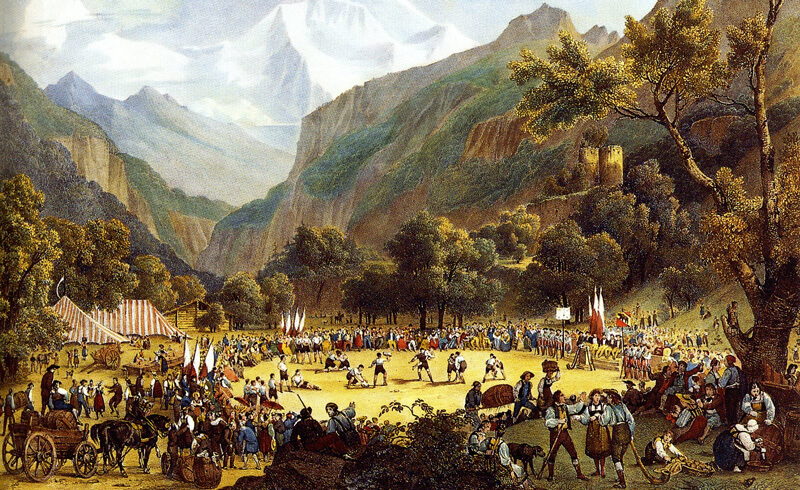 In his introductory text, then current Mayor of Bern, Niklaus Friedrich von Mülinen, wrote that the games were to create "new bonds of friendship between the inhabitants of the countryside and the residents of the towns ... to make that beloved unity germinate and flourish again..." The Unspunnen myth was born and the tradition lives on today and the next Unspunnen Fest in Interlaken is scheduled for August 2017. An hour's walk from Unspunnen are the Rothenfluh ruins. Keep in mind that this part of the Castle Trail is not suited for small children as it requires good shoes and a flashlight for after dusk. Two paths lead to Rothenfluh, and it is not an easy choice. The upper path starts at the old mill in Wilderswil where it crosses a wooden bridge and leads into the forest. As you ascend, the forest trail gets narrower until it ends at a fear-inducing metal suspension bridge. On the other side, the path crosses a wetlands area. And since there are no handrails at times, clumsy feet are not ideal. And just when you thought that the worst is over follows the path to the actual Rothenfluh ruins. 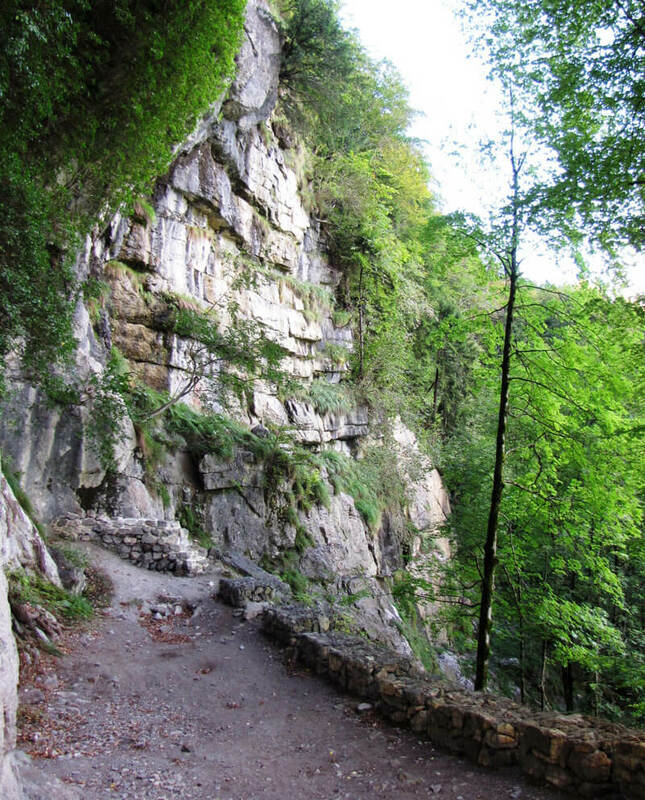 Prepare to climb a long metal staircase up the cliff, then walk along another narrow trail (it's not for the faint-hearted). None of this is dangerous as such, but there is simply no room to slip and fall. And did I mention that you should take the same way down? So, why come here at all? You do not want to go all the way up there simply because "it is there", but more because it is not. There is absolutely nothing left of the original Rothenfluh Castle, save a few low walls and markers. However, this is the only cliff castle in the canton of Bern which has been preserved. And its location, high above the valley floor, is truly awe-inspiring. History tells us little about the Lords of Rothenfluh, but legend tells the end of their history. At Tschingelmatte where the ascent to the castle begins, the Baron of Rothenfluh supposedly murdered his brother. Sent into exile for the crime he committed, he died in a distant land and therefore ended the mighty Rothenfluh lineage. The castle was abandoned shortly after and was already in ruins by 1577. When you look at the valley down below, you will understand why the Rothenfluhs built a castle in this impossible place. Here, they were truly lords of all they surveyed, impenetrable and alone, encased in a cocoon of red rock. These were men of legends, uncompromising and as brutal as their environment – and I feel small as I stand the shadows of their erstwhile past. 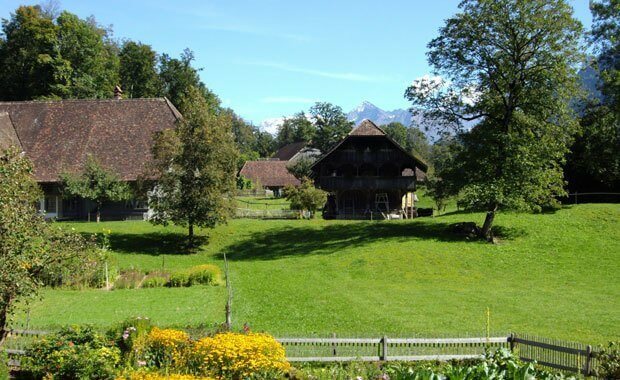 - Take a bus or train from Interlaken Ost to Wilderswil Dorf or Hotel Heimat. From there, walk to the village museum Alte Mühle. 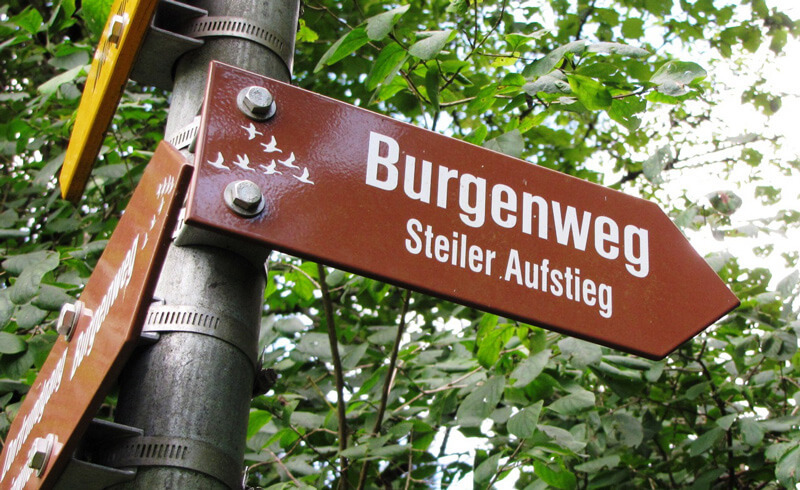 - Maps for the Castle Path (Burgenweg) are available at the Wilderswil tourist office and the railway station. Eva likes mountains but enjoys being in the plains. She will fly to far off destinations only to get a craving for seeing more of this planet. Based in the Bernese Oberland, Eva covers local customs and hikes. Here's Why the Swiss Women's Run in Bern is a "Must"